We have long been accustomed to the fact that the age of the Internet has come, of “smart” household appliances and almost daily technical achievements. 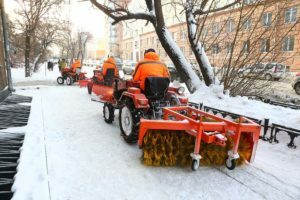 But exactly the same as a hundred years ago, our yards and sidewalks in winter still clean the janitors, and from technical achievements they have a shovel and hatchet for chipping ice. 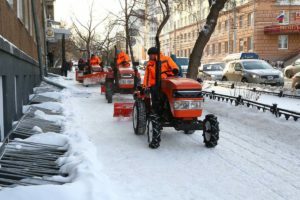 “We live in the 21st century, and the fact that we still have only the sidewalks cleans the sidewalks from the snow is absolutely out of date,” says Vladimir Andryushchenko, the director of the Emangezel plant of mini tractors. Meanwhile, mini-tractors “Uralets”, which are produced at the Emanzhelinsky enterprise, excel at curing the sidewalk from ice and snow. “Such a tractor is equipped with the necessary attachments,” says Anton Denislamov, the brigadier. It includes a grader shovel, a snow shovel, a communal brush. This brush is the development of our company, today in Russia it has no analogues in terms of price-quality ratio. Now the project manager Sinolitsky G. V. and Candidate of Technical Sciences, SUSU, Department “Wheeled tracked vehicle and cars” Kromsky E.I. Introduce into production an innovative icebreaker, which shifts the layers of ice relative to the asphalt at the first pass of the tractor. 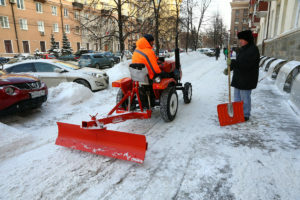 The products of LLC “Tractor” are well known both in Russia and abroad. It is worth saying that “Uralets” is the most common mini-tractor in our country. 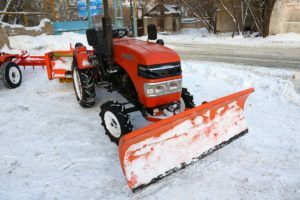 And in the Urals Federal District every second mini-tractor is produced at the South Ural enterprise. All tractors are manufactured in compliance with the necessary technical requirements and GOSTs. To date, the company produces 12 models of tractors and 60 types of attachments: for plowing land, harvesting hay, growing and harvesting potatoes, applying fertilizers, transporting goods, harvesting the territory, chopping wood residues, drilling holes, clearing snow, etc. LLC “Tractor” by right can be called an enterprise of high business reputation. 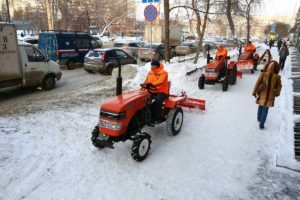 For example, at the regional contest among small businesses, the Emanjelyan mini-tractor manufacturers were awarded the next (and by no means the first) award – for the victory in the nomination “The Best Employer in the Small Business” and “The Best Entrepreneur in the Field of Production and Construction”. The award was presented to representatives of the company at a solemn ceremony by the Governor of the Chelyabinsk region Boris Dubrovsky. 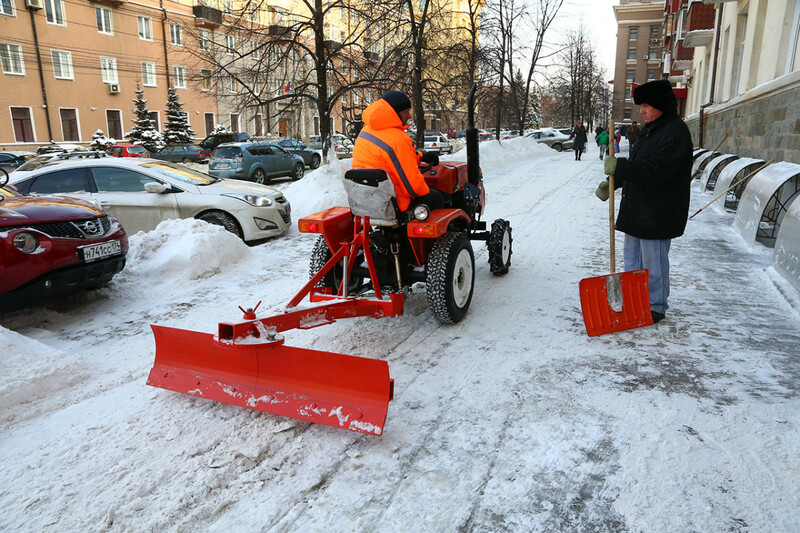 “The main purpose of our mini tractors is agricultural work,” Andryushchenko said. – As a rule, small-sized machinery is needed for farming and personal part-time farms. The use of powerful expensive tractors in such farms is economically unprofitable. 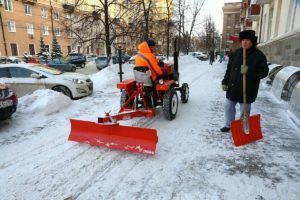 But it is both economically and technically expedient to use a mini-tractor, as mentioned above, for cleaning city streets. 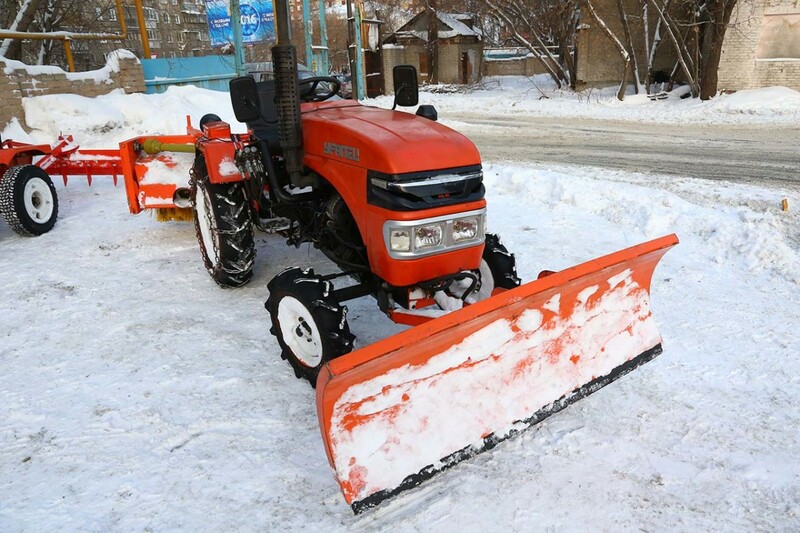 Such a tractor with all shovels and brushes costs about 300 thousand rubles and pays for itself in just one season. In addition, one tractor replaces six wipers. Летом на нем можно сменить оборудование и косить траву на газонах и на пустырях. Кстати, газоны с травой чуть ли не в человеческий рост – не такое уж редкое явление в нашем городе. Еще немаловажный момент – ООО «Трактор» гарантирует покупателям полное сервисное обслуживание техники сроком на три года. The advantages of using mini tractors in the city economy have already been appreciated in Moscow. In the Krasnopresnensky district of the capital, 24 mini-tractors made in the South Urals successfully operate. Maybe it’s time for Chelyabinsk communal workers to remember what century it is in the yard? After all, modern communal equipment can make the city more comfortable, comfortable and safe. Especially in the winter.